Honey has a long history in human societies around the world. It is used in various foods and beverages as a sweetener and flavoring. What is more interesting is that it also has a role in religion and symbolism sometimes being called the nectar of the gods. It is also used in various medicinal traditions to treat ailments. In fact recent studies of honey have indicated that these traditional uses actually have scientific merit. 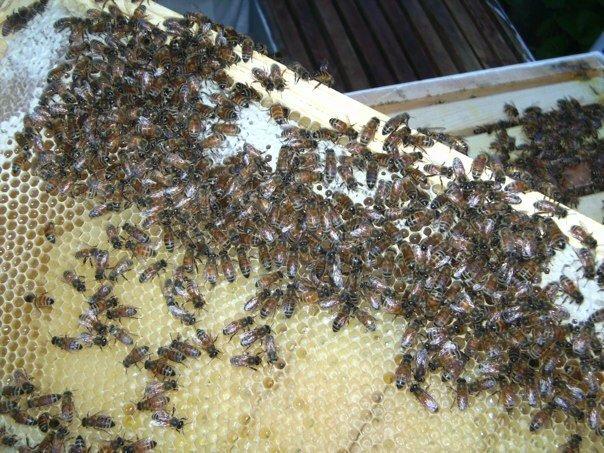 Antibacterial properties of honey are the result of the low water activity causing osmosis, hydrogen peroxide effect, high acidity, and the antibacterial activity of methylglyoxal. Because of all of that honey makes an excellent face mask. There are a lot of different things you can do with the various oils that are used in soap making. One of the easiest things is to turn a few of the best oils into an emulsion for a lip-balm or body moisturizer. The process really is simple and actually has fewer steps than making your own soap. For anyone who has made a salad with an oil and a liquid, you know how oil and water can be combined into a new product. The basic process is to melt the solid oils and add them to the fluid oils. Once you have combined the oils then you can start adding different flavors or sweeteners (like honey) which have water in them. If you just want the lip balm to be plain, just add water. At this point you need to stir the fluid/water vigorously as you slowly drizzle the oil into the mixture. 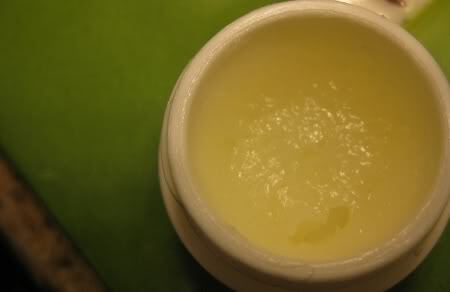 This should create the perfect emulsion and you will be able to chill the emulsion to form an even more solid lip balm. The processes of making soap are all centered around the chemical process of saponification. Soap makers have for years had huge lists of SAP (saponification) tables that describes the basic process of converting fats into soap. For new soap makers, the process may seem almost like magic because of all the mathematical formulas and conversions. Really, what every soap maker is doing when he or she makes a batch of soap is stepping into an organic chemistry lab and forcing a chemical reaction to take place. In a lot of my soap making videos, I simply show myself adding a particular fragrance to the soap without explaining much about the different options there are to making your soap smell like it just came out of a designer spa but at a far cheaper price. In this article I hope to explain some of the basics to adding fragrance to your soap so that you can feel more confident to experiment with your own scents as you join the wonderful community of soapmakers.There are basically two chances you will have to add fragrance to your soap. The most common way is to add either a fragrance oil or a pure essential oil to your soap. The second way in which to add scent to your soap is to use various aromatic liquids like tea or coffee. There is a third way that is sometimes suggested by adding herbs or flowers to your soap but I have never had much luck with this method and if the cuttings are not heat safe, you will find most of the time they end up being burned by the saponification process. I guess wanting to put information about the structure and function of the liver and gallbladder comes from my high school AP biology teacher. We always learned the--in this order--structure, function, malfunction, disease and treatment of any type of organ or system in the body. I'm not going to go into too much detail but if you want to skip to the liver flush just click here. The liver is essential to the function of the human body. Its primary functions are detoxification, protein synthesis, production of biochemicals necessary for digestion, namely bile, and a host of other functions. An adult liver is a little smaller than a bicycle helmet making it the largest internal organ in the human body. The liver is also special in that it gets its blood from 2 different locations in the body. There is a direct path from the intestines to the liver as well as branched artery from the aorta. This direct path from the intestines allows the liver to be the first to filter through all the nutrients or toxins that have made it to the intestines.